← I pass out. So WHAT? 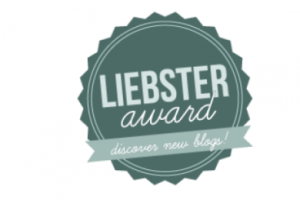 I was recently nominated for the Leibster Award. It’s an award presented by a blogger to another blogger, and the chain keeps on growing. I was nominated by thesecretlifecoachofdc, who I found through the 28 Day Blog Challenge. She has accomplished so much through such a young age, and I am obsessed with DC, so clearly we are meant to be best friends! 1. If you were a superhero, what would your name be? I think my name would be something dorky because I am not creative! My skill would be something like a multi-multi-multi-tasker. I am great at multi-tasking, and it helps me in every aspect of my life. If I could triple my skill, it would be amazing! I would be done with my work day by 9am! 2. What is your favorite aspect of blogging? I like documenting my life. We went to 5 thousand weddings this past fall, so it was fun to document my favorite moments from each day. It will also be fun to look back and show my kids that I ran a marathon when I was younger. 3. What blog do you follow most religiously? My two that I read as soon as they post: foodandfunontherun and pbfingers . 4. What is your biggest fear in life? Being alone. I am so happy with my life right now, and if it were to change tomorrow and leave me by myself, I am not sure how I would handle it. 5. Are you a Harry Potter fan? If so, what was your favorite book? AM I a Harry Potter fan? Is that a joke? I have been to all 7 midnight releases of the book and 7 midnight releases of the movies. I love how the books let my mind wander and truly create an imaginary land. 6. What’s your favorite Halloween costume that you’ve ever worn? 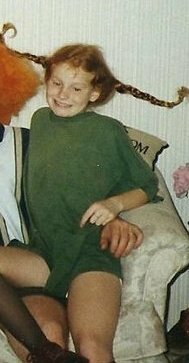 Pippi Longstocking. 7. Favorite workout routine? Dance…not Zumba, but actually jazz or ballet! 9. If you had to choose a color to represent your personality, what would it be and why? Probably red. And no I did not pick this because of the color of my hair. I picked it because my personality is very passionate and fiesty:) When I get involved with a project, I become obsessed with it. 10. Do you believe in horoscopes? Why or why not? Nah. I think when you read your horoscope you reach for meaning and interpret it how you want to interpret it at that moment. 11. Name your greatest passion in life. Traveling. I didn’t realize how much I liked it until the summer of 2006 where I went to 4 different conferences with student organizations and 3 trips with my family! I caught the travel bug and can’t stop. My husband and I like cruising the best, but we also enjoy big cities! 1. I am double jointed, and can jump rope with my arms while holding my hands together. 3. 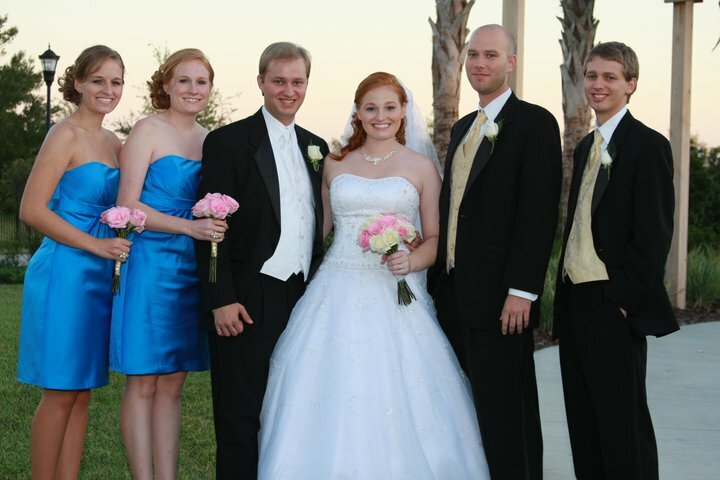 I am the middle child of 3 girls, and my husband is the middle child of 3 boys. 4. I lived on a college campus for 4.5 years out of 6 years of attending college. And I would not have changed it for the life of me. 5. I love Paula Deen’s restaurant in Savannah. It is hit and miss though, so if you visit and it’s not good, I am sorry!!! 6. I hate eating breakfast. I would have a smoothie EVERY morning if I could. But it is simply too cold to have one up here in the north (yes, I live in the southern most point of South Carolina, so?). 7. I tought myself to like coffee. Even though I think it’s a psychological effect that is what gives people energy. (I can drink a cup of coffee and fall right asleep). 8. It really bothers me that my college is called a technical college. It is identical to a community college, just named something weird. 9. My husband and I are reading the “Love Dare” book by Alex and Stephen Kendrick. It is really interesting, and surprisingly true! 10. I had never seen Les Miserables until the movie came out. I love it! Cannot get enough of the cast and songs. 11. I am deep down a home body. I would rather stay in, than go out and meet up with people. I am a fake people person! I actually think the truth is that in every position I have ever worked it is always out front with the customers or clients. So by the time I get home, I want to relax and not say a word! 1. What is your favorite healthy living blog? 2. What is your favorite youtube video? 3. What is your favorite sandwich? 5. 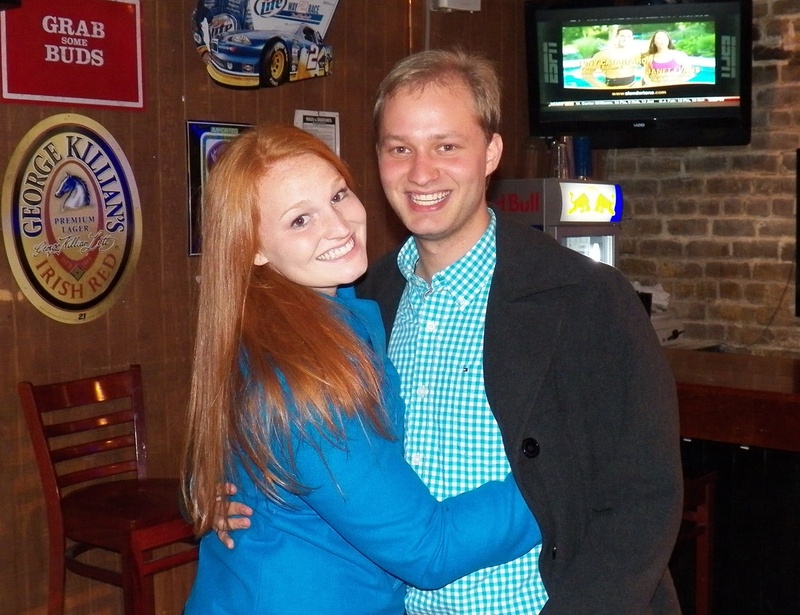 What was your favorite birthday celebration? 6. Do you volunteer with any community service groups where you live? 7. What is your favorite local restaurant? 8. Who is your celebrity crush? 9. Out of the 9 movies for Best Picture at this year’s Oscars, which one was your favorite? 10. Which race distance do you like the most? 11. What is your most favorite book of all time?